Milford High School's drama department is presenting Cinderella February 7-10 at Milford High School. 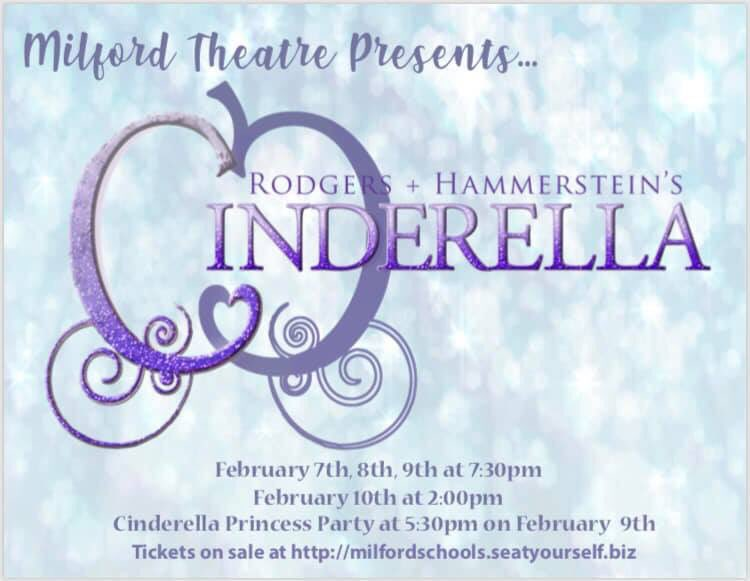 The Friday night performance of Cinderella by Milford High School’s Drama Department will be moved from 7:30 p.m. to 8 p.m. on February 8. Alexa Mueller, our talented lead in Cinderella, has been named a semi-finalist in the Overture competition held on the same day! Alexa will be performing first in the competition and then heading straight to Milford for her performance! 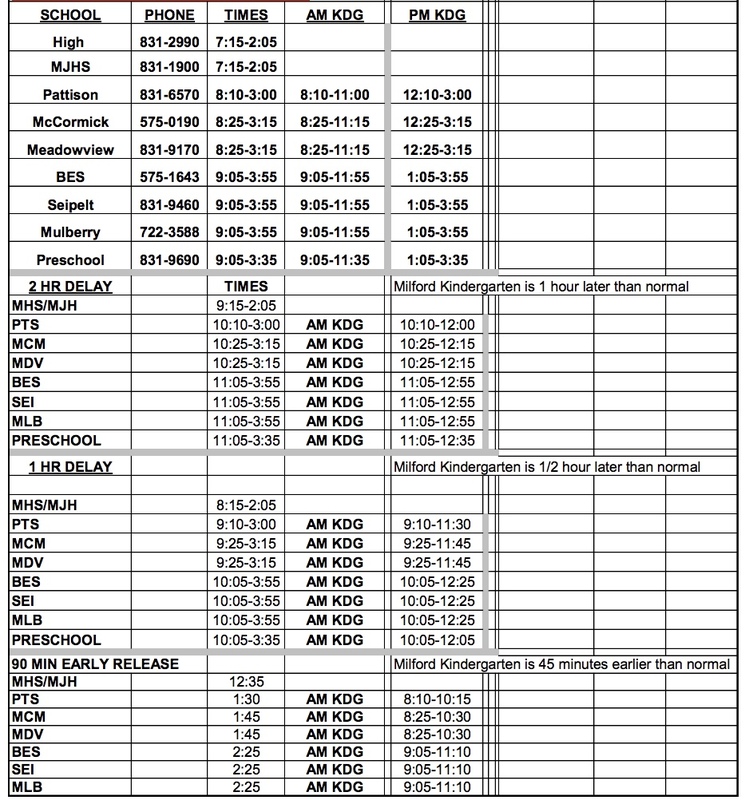 This time change will affect just the show on Friday, February 8. February 7 and 9 - 7:30 p.m.
February 8 - 8 p.m.
February 10 - 2 p.m.